Buying land and property in Noida in Uttar Pradesh will be costlier as circle rates have been increased by 10 to 25 percent from Thursday. 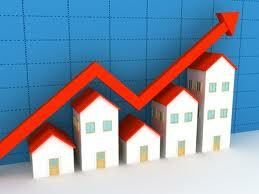 Agriculture land rates too have been hiked by 5-8 percent. "The hiked circle rates are effective from today," S K Singh, AIG stamps and officiating Deputy Inspector General, stamps, told PTI. The hike is between 15-25 percent depending on sector location. "A special category has been introduced this year. It relates to hospital, cinema, cold storage and marriage halls. The circle rate of this category would be 30 percent of the rental value or 40 percent of the commercial rate in that area," said Singh. The city's residential sectors have been divided into various categories from A to E depending on the development and market value of land. In C category sectors, the increase is between Rs 35,000 and Rs 40,000. Rates are for per square meter land.